Tastex Knitwear and Uniforms provides a broad range of uniform items for the corporate sector. Our corporate range includes ladies and mens suiting, shirts, trousers, skirts, and jackets. Customers can browse manufacturer's distribution websites and choose the uniform items they require. Once the uniform style or components are selected Tastex can quote and arrange delivery. All your uniform purchases can be embroidered with your logo or emblem before delivery. How to choose your uniform. Navigate to the websites below to make your selections. Contact us and we will look after the rest. Alternatively, call (03 6272 8877) or email (sales@tastex.com.au) Tastex. 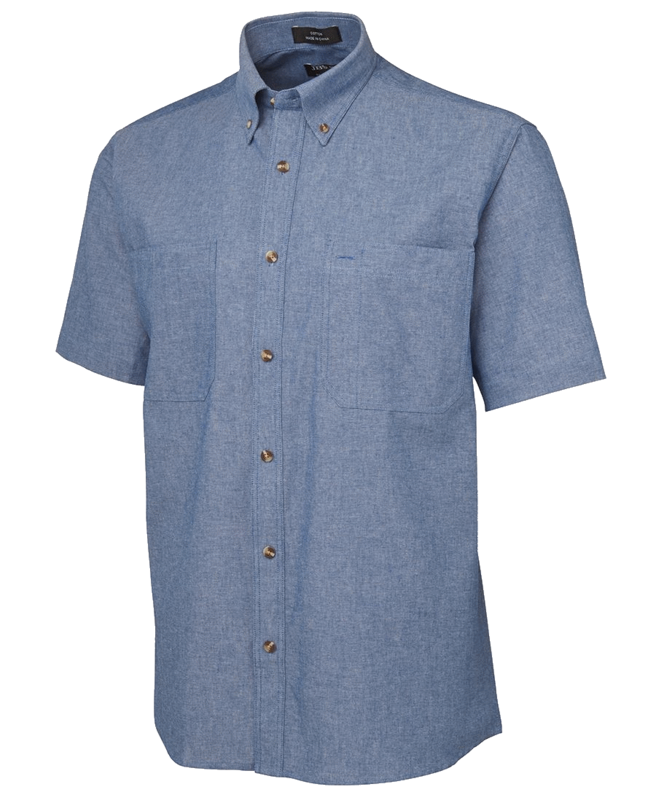 Men's cotton chambray shirt. Also available in long sleeve and green.